Last year about 12,000 children in Flint, Michigan were exposed to high levels of lead – a heavy metal with no safe limit. Any amount of it leads to damage in the body, and high levels of it are linked to a life of deliberating problems. But the lead problems in the U.S are far from over. At the end of July, Chicago officials revealed why hundreds of city drinking fountains have been running non-stop for many months – the off button has been deliberately disabled because all of them have unsafe lead levels, some reaching 80 times over the established health limit, reported WBEZ Chicago (although there is absolutely no safe limit for lead in water, the EPA does allow 15 parts per billion). Letting the water fountains run without shutting them off reduces the lead levels. This was a response to 2016 tests that found a dangerous amount of lead in 452 outdoor fountains. Afterwards, there had been almost 1,900 of these fountains that continued running in April. After one month of flushing, 70% returned to acceptable lead levels. But 30% of them still exceeded the safety standards. A few have been shut off completely after failing all tests. The fountains that are still continuously running are expected to go back to a push-mode in the fall. The official said the flushing is taking longer than expected, and each fountain is wasting 575 gallons of water a day. The lead contamination source is unknown, but could be a result of brass fittings, fixtures, lead service pipes, and soldering work. The list of Chicago locations with these fountains can be seen on WBEZ website. The U.S. lead problems do not stop in Chicago, unfortunately. Earlier this summer, hundreds of water systems in schools and child-care systems also failed lead tests, reported USA Today. That number is about 20% of all the systems that the EPA has tested, meaning many more potentially contain this harmful heavy metal. This produces a major problem, as the federal government required only 10% of the nation’s schools to be tested. There are also many schools that depend on other water sources and therefore are not required to be tested under the Safe Drinking Act. They rely on their own tests, which may never get done. If the water is contaminated, it can harm children not just when they drink it, but also from using the water to make school lunches. A study by British Columbia University has found that out of all lead poisonings in children, 20% come from contaminated water. Another analysis from USA Today found 42 states to have lead problems in drinking water given to children. Out of which, the worst were Maine, Pennsylvania, and New Jersey. One sample from Maine rated at 635 ppb in 2013. This is over four times the highest level of lead found during the Flint lead crisis tested at Virginia Tech at 158 ppb, and over 23 times the Flint water average at 27 ppb (of course, some places in Flint rated at 13,000 ppb, but that was classified as “toxic waste” water). Lead-contaminated water is found not just in schools but in homes as well. 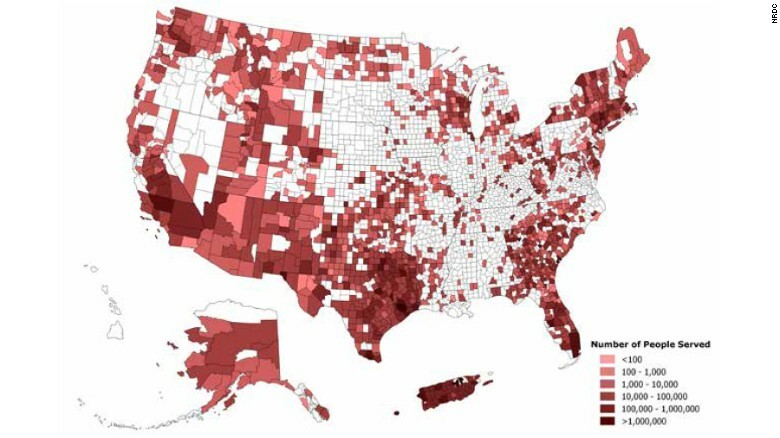 It has been estimated that eight million Americans live in communities where water is unsafe and violates the law. “Imagine a cop sitting, watching people run stop signs, and speed at 90 miles per hour in small communities and still doing absolutely nothing about it — knowing the people who are violating the law. And doing nothing. That’s unfortunately what we have now,” said Erik Olson of Natural Resources Defense Council. The EPA keeps failing the people. It fails to lead water treatment efforts to stop contamination; it fails to test water for lead; and it fails to report water contamination to residents — meaning that the onus is ultimately on the people to protect themselves from the health effects of this devastating heavy metal. It has also been revealed that the EPA often uses flawed testing methods to purposefully avoid detecting lead. This leaves the people in the dark about what the poisons they may be drinking. Put blatantly, the EPA is cheating, and this has become normal. And Flint is not the only town with a “toxic waste” type magnitude of contamination. Utah water systems tested as high as 6,000 ppb, and seven other states as high as above 1,000 ppb. This is a public health problem for all of us, but especially for our children. Lead is especially dangerous for those under the age of six, because of their bodies’ development. There is no safe limit for lead, and it can lead to severe mental and physical issues in their development. “When pediatricians hear anything about lead, we absolutely freak out. Lead is (an) irreversible, potent neurotoxin,” said Dr. Mona Hanna-Attisha, a Flint physician. -Get enough calcium, iron, and zinc in your diet. -Eat foods that prevent lead absorption: green leafy vegetables, yogurt, peanut butter, orange, and red peppers (these contain beneficial calcium, iron, and vitamin C). -If you have been exposed to lead (or other heavy metals) consider a heavy metal cleanse or a cleansing kit. 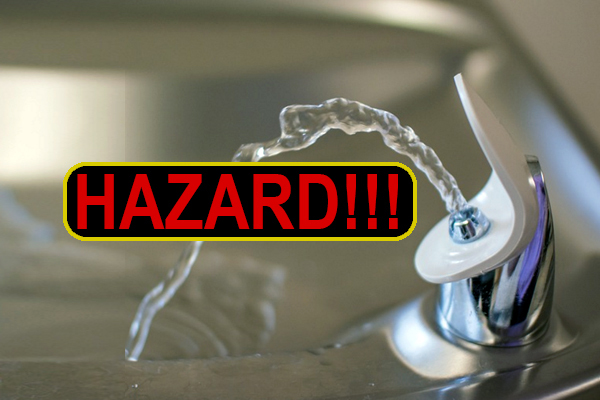 -Let the water from a drinking fountain run for a few seconds to flush out before drinking it. -Do not smoke or get exposed to secondhand cigarette smoke. -For cooking, use cold tap water only. Warm or hot water contains higher levels of lead. -Use a filtration system.Water pitchers like Clearly Filtered remove 99% of lead and other toxins for water. (there are also water bottle options that filter while you are drinking from it). -Bring your own filtered, bottled water. -Finally, have your water tested. If your tap water is supplied by public water systems, search online for their test data or call your local water authority to find out. Find your local consumer report on water quality if available. If you have a private well, the EPA has recommendations on how to make sure the water from it is safe. Testing well water requires a state certified lab. You can also request to get your tap water tested by an EPA-certified laboratory in your area. There are many limitations with the state’s testing and home tests, however. Many have found trying to contact their water supplier tiresome, and eventually were left with misinformation. Home tests have a huge flaw – they can detect lead that has been dissolved in water, but miss tiny grains of this toxic metal. In the end, the only sure bet to keep your home water safe is to install a home water filtration system. “That is the most economically sound solution and the most protective. And, I’m afraid, as long as we have lead pipes, that’s the solution that at-risk groups should be adopting,” said Virginia Tech environmental engineering professor Marc Edwards about water filtration systems. The at-risk groups include: pregnant women, infants, young children, elderly, those living in poorly-maintained rental properties and those who are exposed to lead at work. But really, all of us can and should use them to protect our homes from lead considering how widespread it has become. Tags: best water filter for lead removal, Chicago lead drinking fountains, chicago lead poisoning map, chicago lead poisoning statistics, do water filters remove lead, does flint have clean water yet, drinking fountains lead crisis, epa lead in drinking water in schools, Flint lead crisis, flint lead levels in water, flint michigan water contamination, flint michigan water update, flint water crisis lead levels, how much lead is safe in drinking water, how to avoid lead poisoning, how to protect your child from lead poisoning, lead effect on children, lead in drinking water, lead in school drinking water, lead in school water, lead in water test, lead poisoning in chicago, lead poisoning long term effects children, lead poisoning outcomes, lead poisoning symptoms, lead poisoning testing chicago, lead water filters, removing lead in water, safe drinking water in schools, safe lead limit, safe levels of lead in water ppb, safe levels of lead in water ppm, there is no safe lead limit, usa lead crisis, and usa map of lead exposure in water.